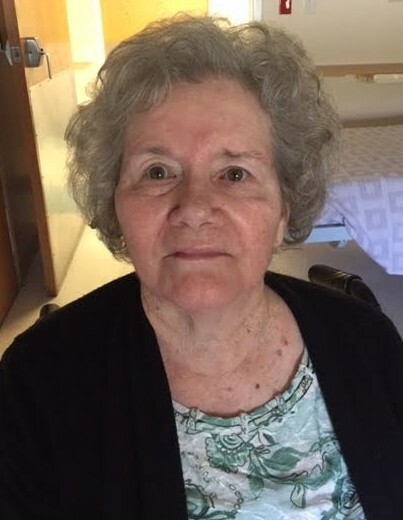 Frances Louise Gaskins Coleman, of Baldwin, FL, passed away Wednesday, September 19, 2018. Frances was the daughter of the late Willard Cecil Gaskins, Sr and Louvenia Lawson, born in Lawtey, FL. She was raised on the family farm in Macclenny and graduated from Baker County High School. Frances and her late husband, Roy E. Coleman, Sr, were faithful members of Grace Baptist Church in Baldwin. There she lived her faith, taught school children to read, and supported the missionary work. Frances learned needlework early on from her Granny Gaskins and Granny Smith and grew to become a talented seamstress. Following her beloved daddy, she always kept a garden, canning and preserving the fruits of her labor and sharing her produce with friends and neighbors. She lovingly fed and clothed her family, rearing six children. Frances was preceded in death by her parents, her husband, her youngest son, John Wesley Coleman, her brothers, John (Ruth) Gaskins, Jack Gaskins, and Ronnie Lawson. She leaves behind her children; Alvin (Penny) Branch, Denese Harvley, Aaron (Jenni) Branch, Darlyn (Philip) Schweckendieck, and Roy Coleman, Jr; her brothers and sisters, Freddie (Claudine) Gaskins, Marie Gaskins, Cecil (Kathy) Gaskins, Debbie (Lynn) McKenzie; grandchildren Nicky (Daniel) Andrews, Tres (Amanda) Hicks, GySgt Aaron (Summer) Klco USMC, Grace (Brian) Moyer, Angela (fiance Justin) Klco, Nathan Branch, Joshua Coleman, Justin Schweckendieck, Joseph Schweckendieck, Jake Poston, Kaylobe (Christy) Coleman and Ashley Coleman; great-grandchildren, Hayden, Oliver, Hudson, Charlotte, Ariannette, Angela Grace, Zoey, Kylie, Lane, and Adelynn. The Celebration of Life for Frances will be held on Saturday, September 22, 2018 at 11:00 a.m. at Grace Baptist Church in Baldwin, FL with Pastor Dwayne Jowers officiating. Family will receive friends on Friday, September 21, at Prestwood Funeral Home in Baldwin, from 6 p.m. - 8 p.m. Arrangements entrusted to Prestwood Funeral Home 105 US Hwy 90 W, Baldwin, Florida 32234.